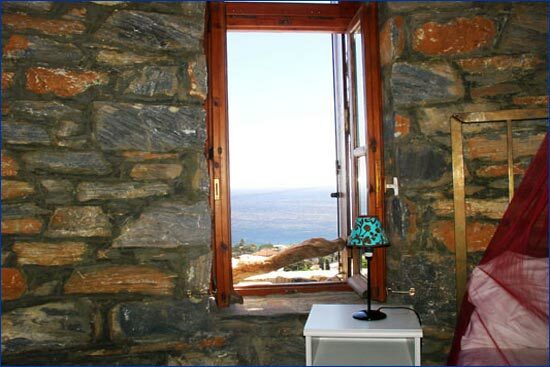 Pyrgos Villas - Ikaria. 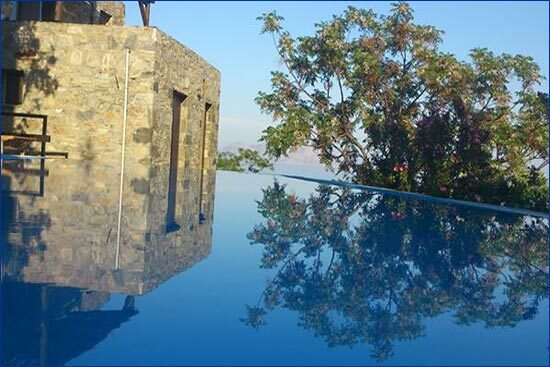 Book a Villa or House Direct with the Owner and Save. 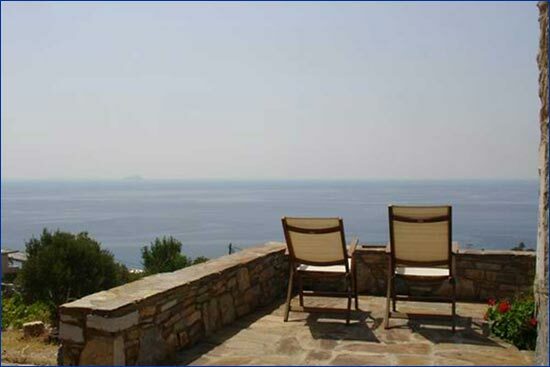 Pyrgos Exclusive Boutique Villas are a traditional neighborhood of 6 detached stone built villas located on a hill atop Agios Kirikos, the capital city and port of Ikaria Island in the Aegean Sea. 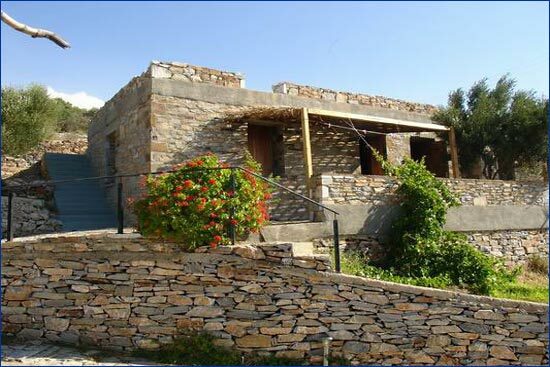 Built in a traditional architectural style from local materials and with antique style interiors, each house is unique and positioned at a different height and angle to the sea. 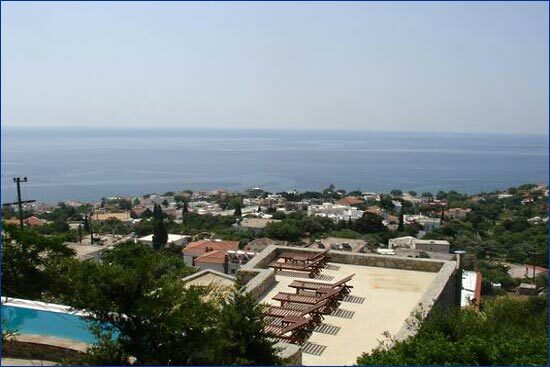 The resulting effect is breathtaking panoramic views of the Southern Aegean Sea and Ikarian Mountains. 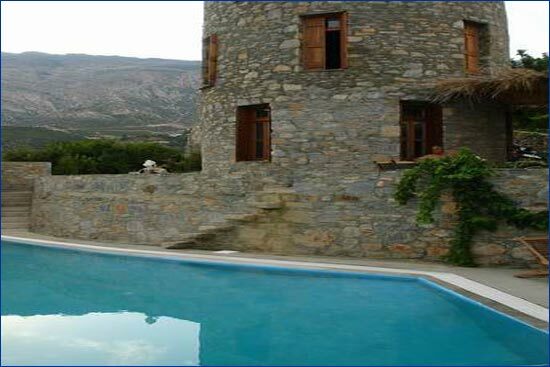 The houses are surrounded by olive trees and wild vegetation along with gardens with local herbs and vineyards. 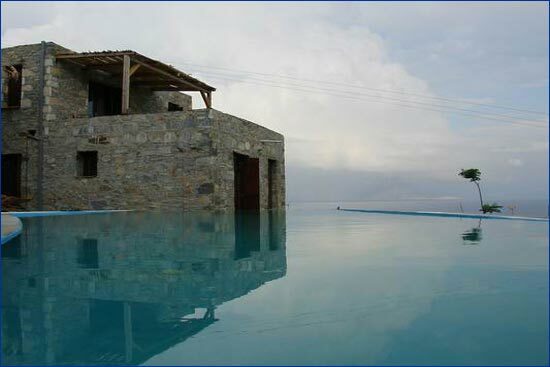 Several narrow stone-built paths lead to the central pool and garden courtyard. 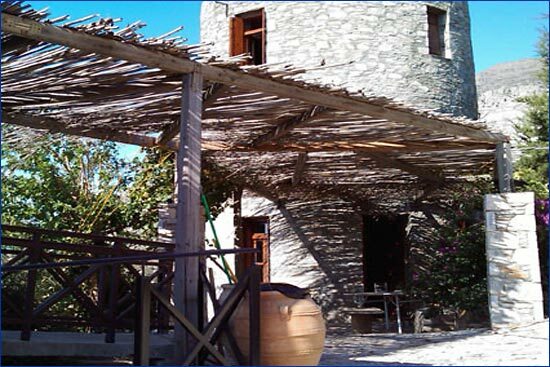 The surrounding area is dotted with traditional houses and olive trees. 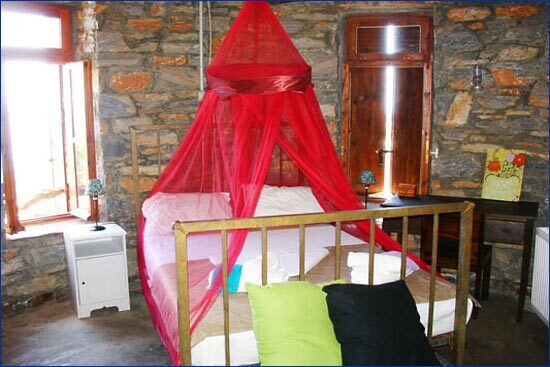 Every apartment is equipped with all the basic furniture and appliances for a pleasant, log-term holiday. 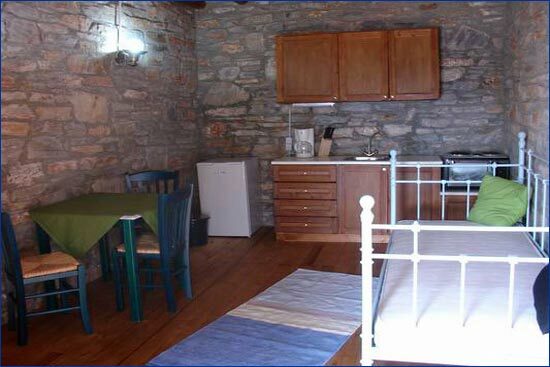 The apartments contain: aircondition, TV, kitchen with fridge, cooker, utensils, dishes, dinner-table and chairs. 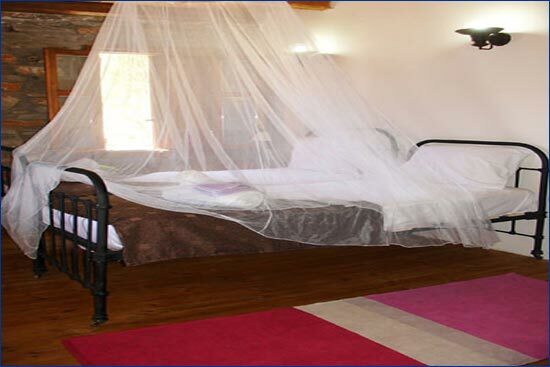 The bedrooms are furnished with beds, bedside tables, wardrobes, sideboards, couch and office table. 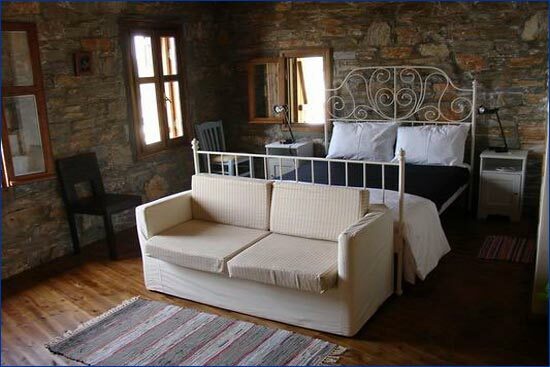 Exterior furniture and other pieces of equipment can be found in the balconies. 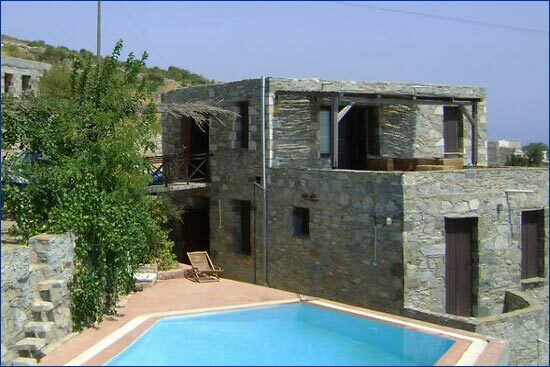 Villa-studios with double bed & 1 extra single bed. 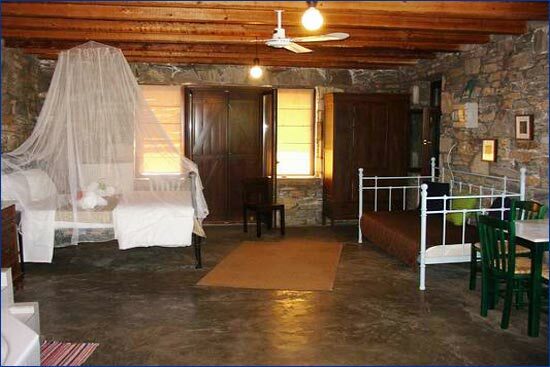 Full kitchen facilities: oven with 2 ring stove, freezer/fridge, cookware/tableware. 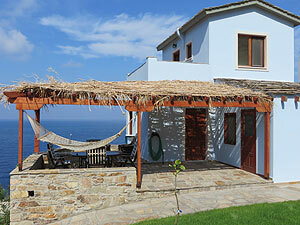 Daily food catering: available for 15 euro per person.